As we celebrate World Aids Day, we focus on one of our subsidiaries, Mobile Health Clinics, that is set to play an integral role in eradicating HIV by 2030, part of the 90-90-90 goal set out by UNAIDS. Mobile Health Clinics is geared to implement lasting change in the communities it operates in by providing cost effective and efficient mobile HIV testing and treatment facilities to remote rural communities. 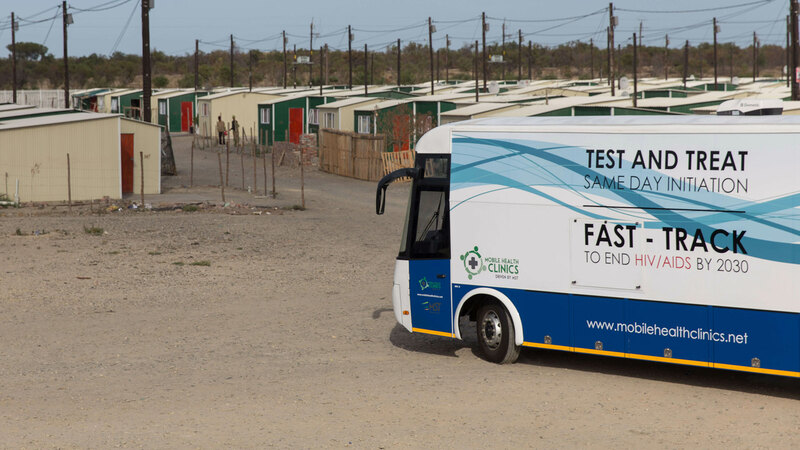 After months of development, the MHC HIV solution recently received permission to not only test for HIV but also initiate ARV treatment from their mobile clinic. This means the time between a positive diagnosis and initiation of treatment has gone from six weeks to a few hours – a major stride forward in the fight against HIV/AIDS. Uwe Schön, GM of MHC is confident that they have developed an effective HIV solution that addresses several of the problems linked to providing testing and treatment to rural communities and believe they will play an integral part in stopping the HIV/AIDS epidemic by 2030, a goal set out in the World Health Organisation’s (WHO) fast track strategy. CEO of MST, Fernando Acafrao shares his excitement and says the potential of this project is incredible. “Our HIV project is the solution to give people access to HIV treatment. Mobility is the future in so many ways because of the shortage of skills and bureaucracy,” he says. “The fact that treatment can be kicked off immediately means the possibility of mixing up results is eliminated and addresses the issue of tracking down people to deliver drugs up to six weeks after they have been diagnosed. This is a unique solution that makes testing and treatment available to those people in the most remote communities, those who need it most. What we’re building here is incredible,” he said. Schön elaborates and says the mobiles can do all the relevant tests like CD4 count and creatinine and can diagnose tuberculosis in 90 minutes instead of six weeks. “In urban areas, that abbreviation means saving time, in villages with treatment-detouring healthcare shortages, it means saving lives. Taking diagnostics mobile is changing the lives of patients,” he concludes.